Word for Today: Quench Not the Spirit’s Fire. The fire in the word of God is better experienced. It may not be easy to explain to others what it is or how it look like. 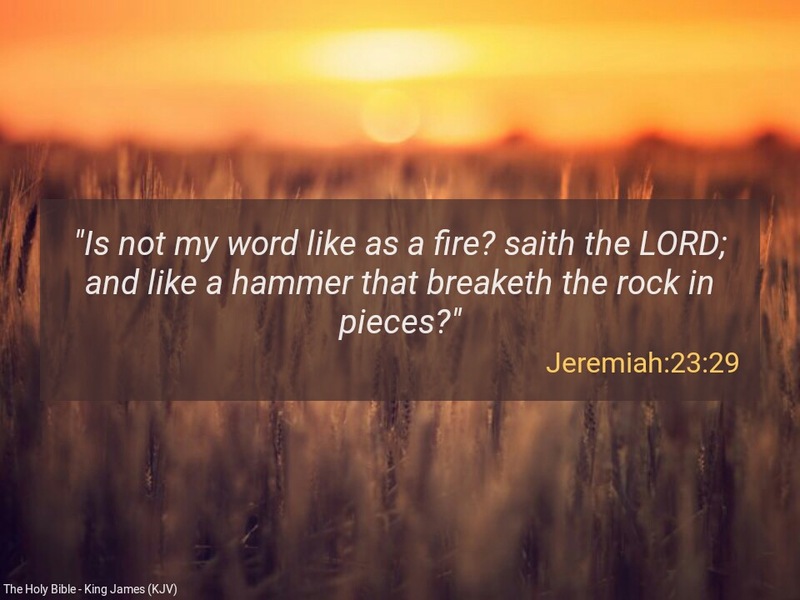 There is fire in the word of God. When you are sufficiently cleaved to the Word and you soak yourself with the word of God, the fire begins to burn in your body(flesh). I mean feelings of physical fire in your flesh. Previous Previous post: Word for Today: Spiritual Aggression is needed. Next Next post: Word for Today: Whose works are you doing?